Actually Gay Women’s Chorus was set up following the huge success of the Actually Gay Men’s Chorus. 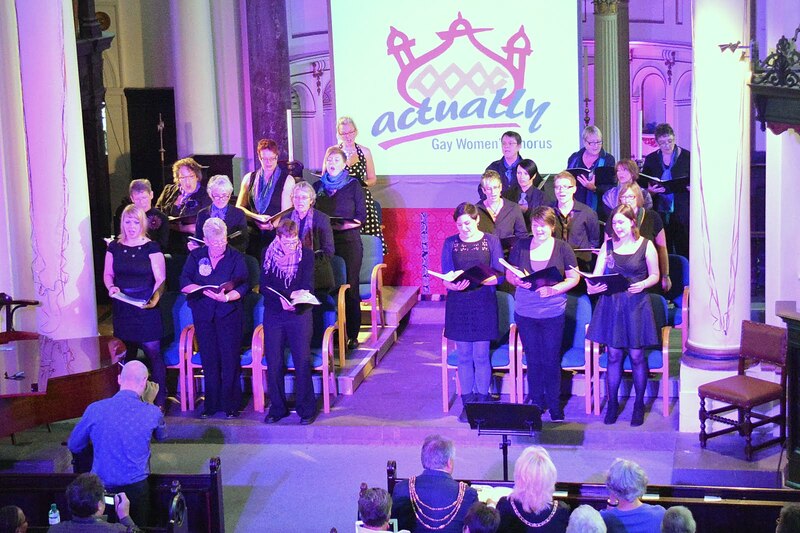 The chorus was set up with the specific aim of providing a place where gay women, but not exclusively as all women are welcome, could socialise, have fun, develop their vocal skills in a unique environment, and perform to the public while raising money for charity. The AGWC was founded in October 2011 by Actually Community Interest Company, the fastest growing LGBT performing arts organization in Brighton & Hove, with almost one hundred members. The chorus performed for the first time at Christmas alongside the Actually Gay Men’s Chorus. Until this point a gay women’s chorus did not exist in Brighton and Hove. The chorus rehearses every Monday evening in The Iron Duke Hotel on Waterloo Street in Hove at 7.45pm, where anyone who is interested is always welcome to join in. This year through their performances and fundraising activities, they will be raising money for two local charities, Brighton & Hove LGBT Switchboard and Brighton Women’s Centre.